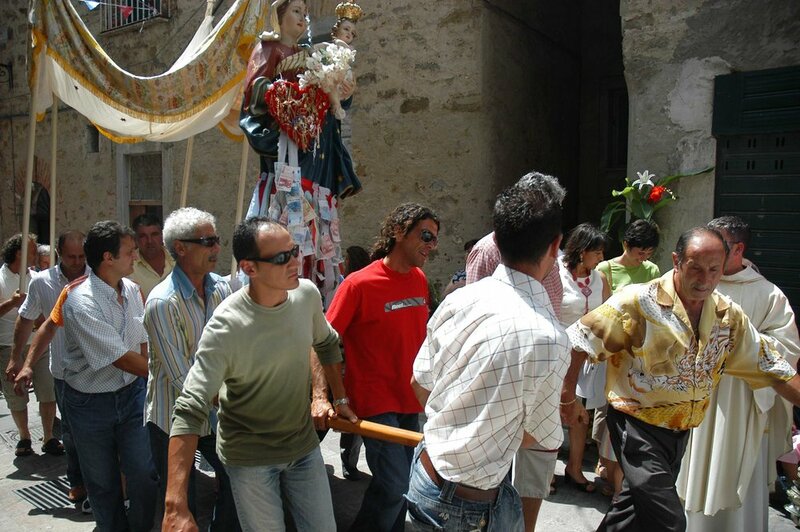 The beautiful statue of Mary, in her sea blue robes and alabaster skin, is carried through the streets of Pollica on a litter by the men of the town. The women carry votive baskets representing ships and thanking the Madonna for keeping an eye on their fish stock and harvest. 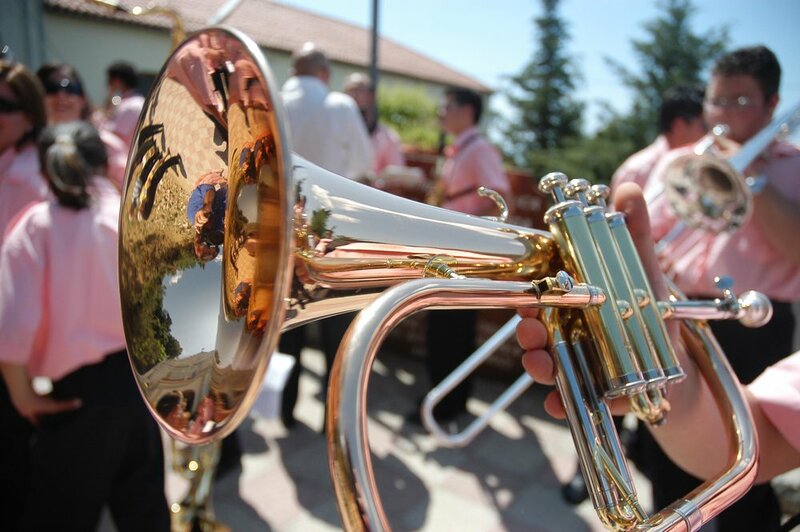 A lovely band of local musicians leads the procession that takes the statue from the Convento at the top of the vilage through the streets to the Church in the centre of town.